Owning a pool or spa is a key part of the Australian outdoor dream - but to enjoy it right you need a reliable pool pump. For decades, Australians have been swimming, chilling out or running businesses that need a great pool - and all great pools with crystal clear and healthy water need great pool pumps, pool cleaners, pool chlorinators and products that ensure value, efficiency, power and speed. Quality, energy efficient and high-performance pool pumps you can rely on are essential for all of the benefits of pool ownership, including fitness, family time, stress relief and more. Australians install pools for all sorts of reasons, which is why 4 Pumps stocks every sort of pool pump and pool cleaners. Pools relax you and the family and friends, they add value to your home or business and they keep those famous Aussie summers enjoyable, which is why you need a reliable pool pump that will be there for you this year, next year and long into the future. That's why 4 Pumps stocks a vast, amazing and value for money range of pool pump products that will do the job for your pools, day in and day out. Whether the swimming pool is in your backyard for the private swimming enjoyment of your family and friends, or it's a pool for your all-important and income-generating commercial business, 4 Pumps has the pool or spa pump and filter that will reliably do the job you need, hour after hour, day after day and year after year. But at 4 Pumps, we also understand what you are looking for when you're shopping for that new pool pump. And what you need from a swimming pool pump and every other product to keep your pool's water crisp and clean is cleaning speed combined with quality. Other suppliers of pool pumps and pool cleaners may cut corners on quality, but we know what you need - and that's satisfaction. As an experienced industry leader in the vast and complex world of pool pumps, we know the value of a satisfied customer - because there's no better advertisement for us than beautiful, healthy, clear and crisp water in your swimming pool that keeps you, the family and the business happy not just today, but long into the future of you and your pools. We also know that reliable and sturdy performance from your pool pump, selected from the vast and impressive range of products at 4 Pumps, is what every pool owner is looking for. Your swimming pool pump needs to perform not only at a high level when you want it to, but be relied upon to keep doing that top job day after day, summer after summer. And in this day and age, where environmental factors are more relevant than ever, power bills are high and innovative technology is racing along at a speed of knots, the energy efficiency of your pool or spa pump matters to you as well - and at 4 Pumps, we understand this only too well. That's exactly why the huge range of pool, spa and water filter products we stock combine all five elements you are looking for: performance, reliability, value for money, quality and help save on power and be energy efficient. When it comes to the energy efficiency of the water and swimming pool pumps and pool cleaners at 4 Pumps, our products offer all of those crucial, state-of-the-art features offered only by the latest of modern technology. This features include variable circulation capacity, corrosion resistance and whisper-quiet operation. 4 Pumps knows how important energy efficient solutions are to our customers. It's not just about reducing the cost of your power bill, even though the average swimming pool uses over $1,000 of electricity each year - just for the pool pump! But we understand as well that carbon emissions matter to you as well. Luckily, like with all water pumps, the latest swimming pool pump products incorporate all of the latest technology like efficient heating systems to reduce the size of your carbon footprint and your bill. In fact, energy efficient pumps can slash those annual costs in half - and better. 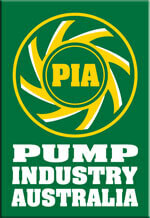 At 4 Pumps, we only stock the highest quality and most reliable pool pumps on the market to support our customers. How can we be so sure? It's about the trusted manufacturers and brands that, over our years and years of experience and accumulating knowledge, we have grown to trust - and you can too. Those brands have earned our trust because they deliver from the very first day everything that our customers expect from their pool pump - and more. Even if it meaning using a pump to drain the pool or transfer the water while the pool is being cleaned. These trusted brands that can be relied upon include Onga and Davey, each with an established and international reputation for building and supplying on the best pumps. But they're not the only brands in the 4 Pumps range that you can rely upon today and long into the future. Onga, Davey, Sparkle and the other manufacturers and suppliers in the 4 Pumps range are simply on the cutting edge of pump technology. They're renowned for having the most stringent manufacturing standards and continually delivering to customers nothing short of premium equipment and products. Every pool pump in the 4 Pumps range is the result of exhaustive research programmes, forward-thinking innovation and the simple fact that value for money solutions keeps performing at its highest level, today and well beyond tomorrow. These top brands are not only the sturdiest and most reliable on the market, they're the most efficient. We understand that value for money and dependability are at the top of your list when it comes to picking the right pool pump for your residential or commercial swimming pool. But we also know that value for money at the cash register is not the only thing that matters. That's right, electronic, high-performance technology like pool pumps is typically expensive to keep running. Those running costs can really hurt at your hip pocket and bank account balance, especially with the cost of living only ever heading skywards. So it's crucial that your pool pump promises maximum efficiency and doesn't waste any of that polluting and expensive energy that we heard so much about these days. At 4 Pumps, we are the first to admit that household swimming pool pumps typically use a large amount of electricity - but thanks to the latest technology and the constant innovation of those trusted brands, things have changed. No longer does enjoying a swimming pool all year round need to be a huge drain on your finances and the planet's future. Luckily, there is a better way - particularly if you shop for your pool technology with 4 Pumps. We ensure that our clients are always making the best and most appropriate choices for them when it comes to what exactly they need from their swimming pool filter, pump and accessories - whether for a modest household pool or an income-producing commercial solution. That means we find out from clients exactly what they need - because everyone's needs are different, no matter how subtly, when it comes to selecting all of the right products for your pool pump. Of course, it's important that the pool filter or filters you choose is able to service the application you need to get the job done, year in and year out. But it also needs to be reliable, made of sturdy and weather and age-resistant materials, efficient enough so you aren't wasting energy and running costs unnecessarily - and a myriad of other factors including chemicals that go into choosing exactly the right pool pump and total solution for you. So when you browse the tried, tested and trusted 4 Pumps range, you'll find everything you need - no matter who you are or what sort of swimming pool you have. Is the pump you need for a backyard pool? Is it used year-round or seasonally? Is it a large or small pool? Does it produce valuable income for you as part of a large commercial operation? If any of these sound like you, 4 Pumps has the range that will work. And no matter the size of your swimming pool or operation, there's no reason not to make the most of those most recent advances in innovative technology. That's right: whilst not too long ago, the most energy efficient solutions may not have been suitable for certain sized swimming pools or operations, that is no longer the case. We stock energy efficient swimming pool pump solutions for every type and every size of pool. That's great news for you, your hip pocket and the planet, too! Because solar pool pumps and pool cleaners, for instance, boast energy efficiency that is not just impressive - it's nothing short of incredible. Of course, you need to pay an upfront cost for solar pool pump products, but they become amazingly cost effective over time, and in many cases they start to pay you back as they draw power not from the expensive electricity grid, but from that amazing and never ending resource, the Aussie sun. Solar pool pumps are therefore very popular in Australia, which is why 4 Pumps makes sure we have you covered. It's not just those long, hot summer days in Australia that generate reliable and now cost-effective solar energy - it's a great solution for your pool pump for every time of year in this great, sunny country. So while it's value, power, quality and efficiency that matters to you, we also understand that those nitty gritty details like safety also make the difference between a good range of pool pumps and the amazing assortment of products proudly presented by 4 Pumps. Yes, we have all sorts of pool pumps with all sorts of power capacities, but we understand that it's all those helpful and specific features that will be perfect for your particular swimming pool needs and solutions. For some of you, it is the whisper-quiet operation that will matter the most to you - particularly if you live in a densely populated area, your backyard is small or you just don't like listening to that annoying pool pump while you're soaking up the summer in your pool. Other clients, however, will ask us more specifically about pool pumps with multi-speed settings. This might be because they want a pool pump that is able to perform a wide range of tasks. These range from days when standard filtration will be the order of the day to super-fast, heavy duty cleaning when necessary. And yet another set of clients will tell us that what really matters to them is speed and durability. We understand that pool and spa pumps need to be strong in a way that various other forms of technology might be able to cut corners. But a great pool pump will always be made from the best and highest quality materials - or certainly if they are stocked by 4 Pumps. The products in our range are also designed to withstand not only the daily rigours of day, week and year-round operation, but the harshest of operating conditions. And we understand that you're installing your pool pump in Australia - a country internationally renowned for the harshness of our weather and climate. So the quality products stocked by 4 Pumps are designed and made of sturdy materials that will fend off the elements and everything else that nature can throw at them - from corrosion to exposure to harsh UV rays, heaters and other elements that deplete chemicals and salt. Our pool pumps are quite simply built to last, not just today but long into their future as they keep your swimming pool water crystal clear and those smiles on the faces of your family, friends and clients. Whatever your pool looks like, where it is located and what it is used for, view us as a helping hand and let us know and at 4 Pumps we can match the perfect pump or filter product from our huge range to your specific pool, project or problem. Login to your computer and get our number and start dialling.